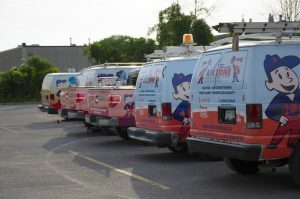 For many years AirZone HVAC Services has supported and encouraged a higher standard for regulating door to door and telemarketing sales in the greater Ottawa area. We are extremely pleased to see the new regulations passed at the beginning of 2018 which implement a ban on unsolicited door to door marketing and contracting. We have taken this strong stance due to many companies in Ontario abusing past laws and taking advantage of people using false information, selling products that are not needed right away, and misrepresenting themselves as a different company. We have seen first-hand many instances of where people have been tricked into purchasing products that they really do not need and often cannot afford. We have also seen many of these aggressive sales companies target seniors due to their trust of people. At AirZone, we have aways avoided door to door sales. Our approach is to provide honest information to potential consumers without the use of aggressive and tricky sales tactics. As an industry leader, we hope that our example of honesty and transparency will lead to a higher standard in our industry. “Under Ontario’s Consumer Protection Act, 2002 unsolicited door-to-door marketing and contracting for the following products and services are illegal, subject to certain exceptions. We have mandated in our company that all employees will follow the above laws and regulations without exception. We are fiercely in support of this new regulation due to it’s protection of unwitting consumers in the marketplace. If you have any questions or concerns in regards to the information above we encourage you to contact us directly. Thank you very much for your attention and for choosing AirZone!